If you’re after a bit of shock factor for your Halloween feast this year, look no further than our incredibly gory offal banquet, complete with heads, brains and hearts. Disclaimer: this is not a menu for the faint-hearted. If, however, you are all for getting knuckle deep in the slightly less desirable parts of an animal, read on! Morbid fascination aside, every one of these dishes are full of flavour and you will score major brownie points with your foodie friends. OK, so the cocktail doesn't actually have any offal in it, but it would take a very creative chef to come up with something containing organs people would want to drink on an empty stomach. 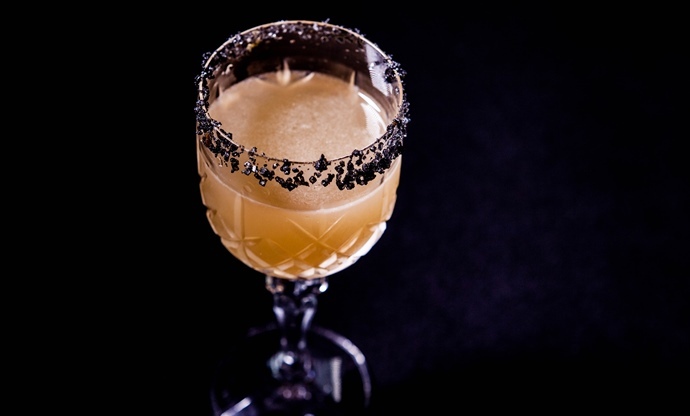 Vivek Singh's delightfully gothic cocktail is made with genever – a Dutch precursor to gin – and has a pecan and pepper crust around the rim of the glass to add a bit of bite. 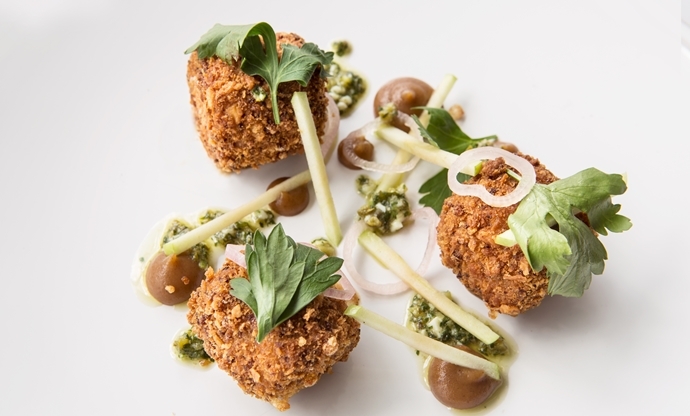 Once you've tanked up your guests with a bit of Dutch courage, pass round these bite-sized croquettes of pork jowl and ham hock, served with a smooth apple purée and sauce gribiche. These deliciously porky nibbles are sure to ease them into the night of bloodthirsty feasting ahead. 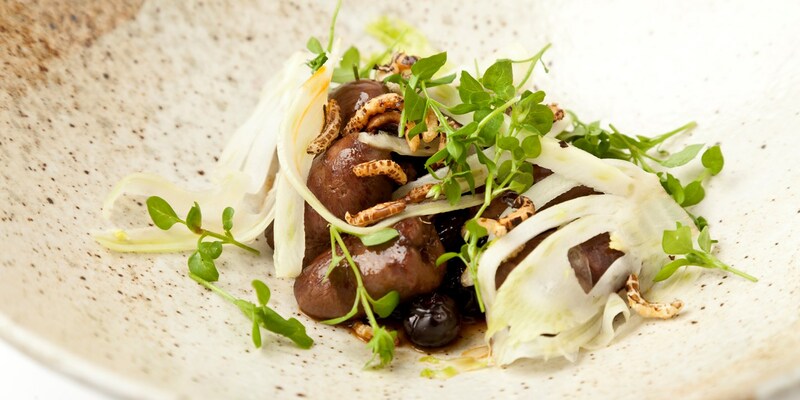 Invite everyone through to the dining room and, once all the necessary sacrifices and ritualistic incantations are done with, serve up this light starter of duck hearts in a pickled blueberry sauce. 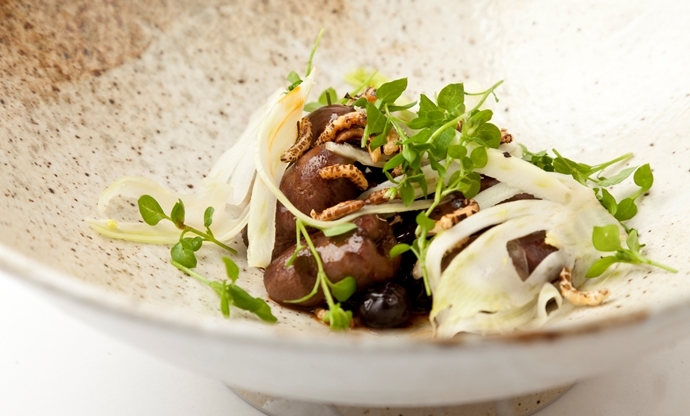 The sliced fennel adds a little freshness and the puffed wild rice is a welcome crunch. 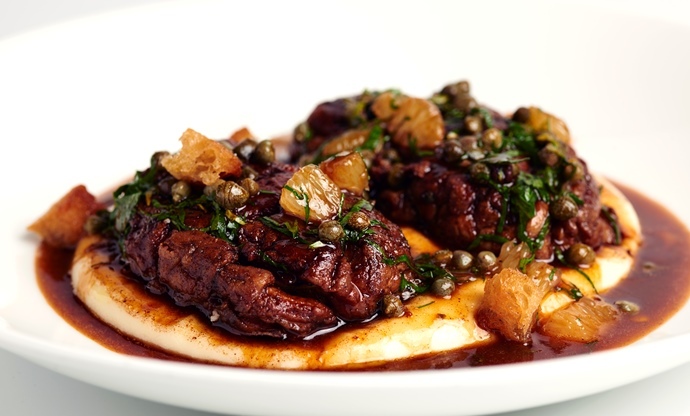 This is your masterpiece, your showstopper, your pièce de la résistance – a plate of smooth whipped potatoes, zingy capers, rich brown butter and two steaming hunks of veal brain. Cooked in the classical French way, looking at brains might make you feel a little queasy, but one mouthful will completely change your opinion on this incredibly underrated delicacy. 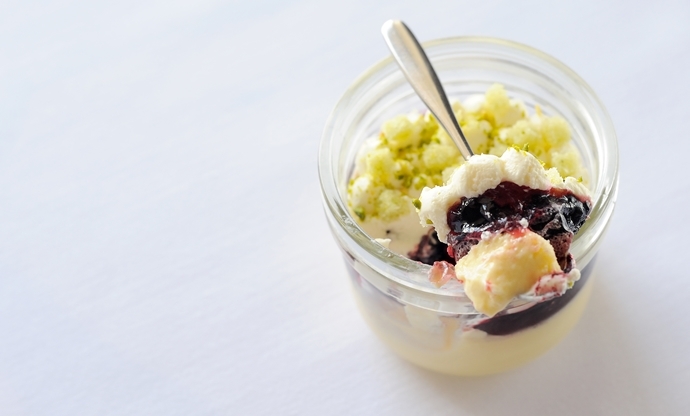 Once every brain-filled plate has been licked clean, serve something a little more familiar, like this trifle from Simon Hulstone. While the offal content isn't totally obvious it does contain gelatine, so be sure to inform your guests they're eating boiled down ligaments, skin, tendons and bones as they tuck in. Wish everyone a happy Halloween and then it's time to relax, safe in the knowledge that everyone who attended your offal feast will remember it for the rest of their life. Get even more Halloween recipes. . .
Give your guests a fright at the dinner table or add a subtle gothic tone to your food this season. Take a look at our Halloween recipe collection for some great inspiration.